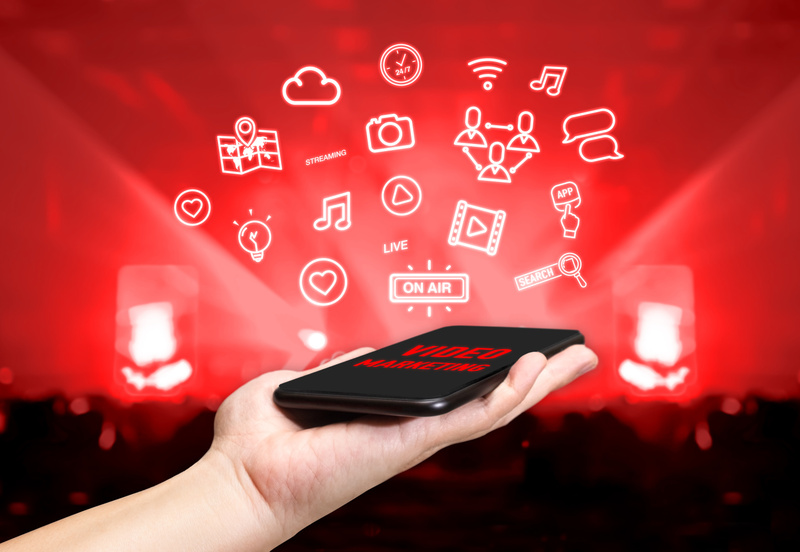 Live video is just one of the latest social media trends brands need to take advantage of to keep up with the competition. Facebook, Twitter, and Instagram now all offer live streaming options, while platforms like Periscope and Meerkat are becoming more popular every day. The number of brands live streaming will only grow from here. Coincidentally, so will the use of influencer marketing. So, what about partnering up with social media influencers to create your branded live videos? It’s easy to be apprehensive. Live video can go wrong in the hands of brands themselves, let alone third-party influencers. 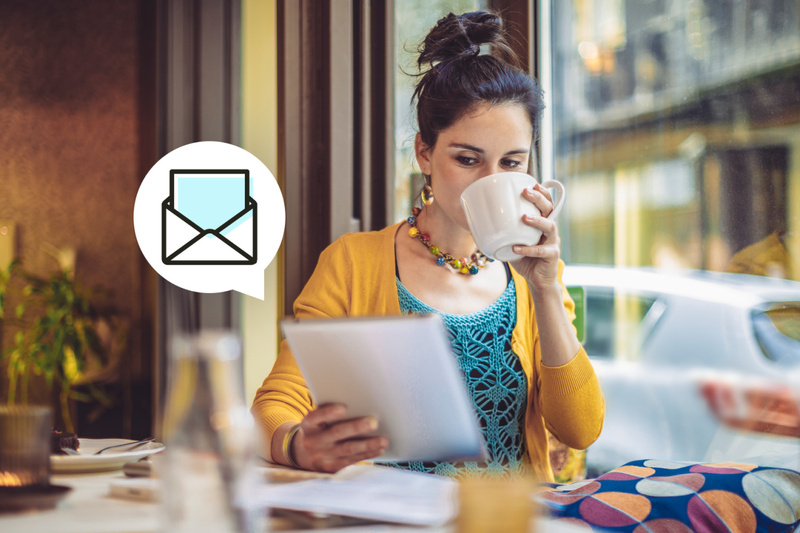 Of course, no great reward comes without risk, which is why many brands are already running influencer campaigns using live video to broaden their brand reach and drive other marketing goals. Here are 10 examples to inspire your first influencer live video campaign. 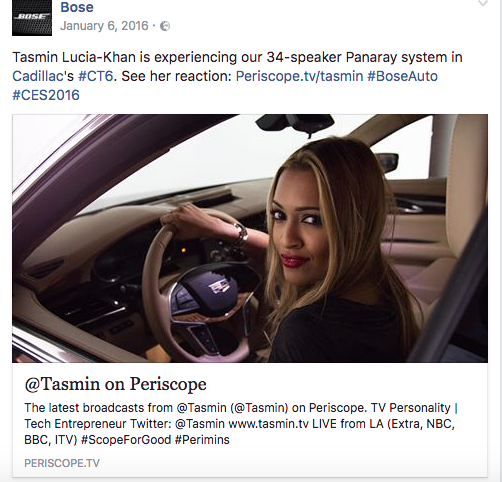 Bose speakers needed a creative strategy to promote their new automotive audio technology, and they got it with the help of Periscope star Tasmin Lucia-Khan. Lucia-Khan joined Bose at CES 2016 in Las Vegas and took her audience behind the scenes to Bose’s private exhibition. She offered an exclusive showcase of Bose’s latest sound systems over the course of four days. 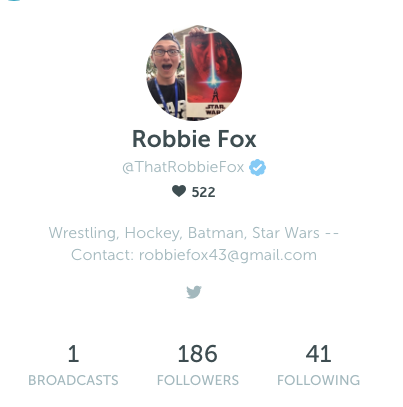 The campaign got more than 5,000 live viewers, bringing Bose into Periscope's top trending list during the expo. Lucia-Khan might not be a speaker expert, but she offered entertainment value and an already captive audience to make Bose’s expo all the more interesting. 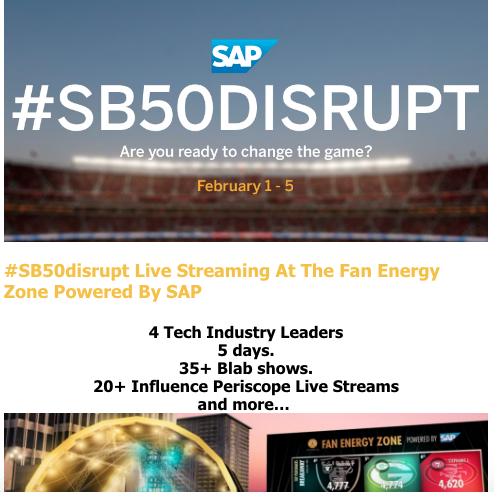 At Super Bowl 50, software company SAP teamed up with more than 35 influencers, including famed Twitter personality Brian Fanzo for a live streaming event called #SB50Disrupt. Fanzo called it a first-of-its-kind event, using Blab, Periscope, and Facebook Live to offer fans exclusive access to the Super Bowl Fan Energy Zone. They also linked the event to Twitter using the hashtag #SB50Disrupt. Influencers were charged with providing live updates to their audiences about the Super Bowl Fan Energy Zone as well as some exclusive peeks at businesses, shows, and events surrounding Super Bowl 50. For the five days leading up to Super Bowl 50 (February 1-5), influencers focused their live shows on a different SAP partner, making the brand an undertone of the 25 hours of live video they created. 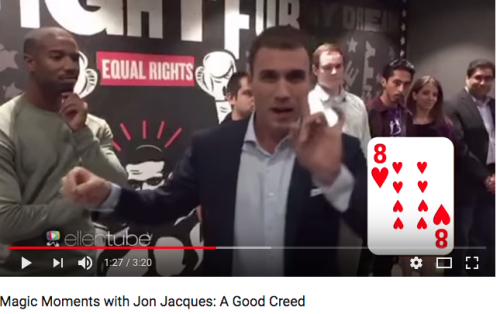 In order to promote their film Creed, Warner Bros. teamed up with Periscope star and magician Jon Jacques to join them on their promotional tour. Jacques worked with stars from the movie, including Sylvester Stallone and Michael B. Jordan to perform illusions and offer personalized gifts to the Big Brothers Big Sisters Organization. The show on the red carpet ended up with 124-plus hours of live video and more than 7,000 views. Influencers like Jacques add a dramatic element to events to capture people’s attention in-person and through live streaming video. Big car brands like Mercedes-Benz know how to create captivating commercials that drive people to buy. But when it comes to engaging with their audience directly on social media, it’s best to leave it to the professionals. Anyone can live stream their opinion about a fancy new car on Facebook. 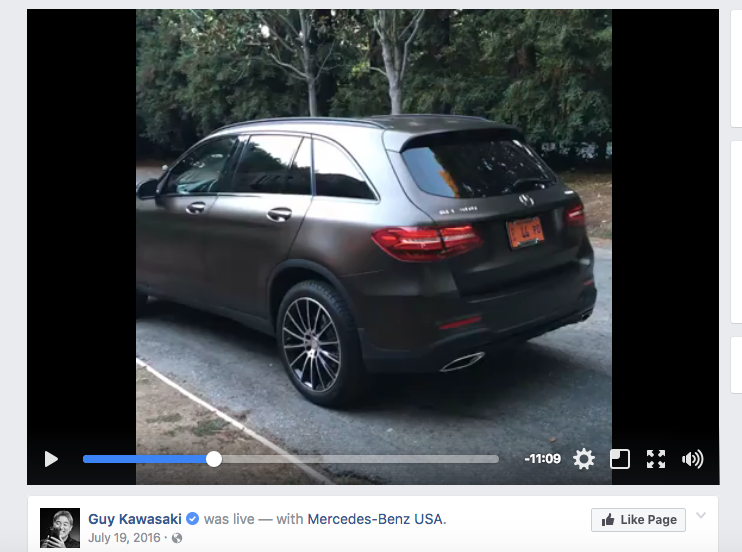 But Kawasaki brings his authority and promotion tactics to broaden reach and impact people's’ opinions about what kind of person drives a GLC 300. NBC pulled off an innovation campaign for Hairspray Live! with the help of Facebook Live video and influencers who are already fans of the musical show. They offered influencers special backstage access to the Hairspray Live! show, allowing them to live stream 35 unique camera angles of what was happening. Influencers got special access to the cast and other extras to offer a unique viewing experience for their fans. And live video wasn’t their only social media marketing trick. They also created a special Snapchat story and filter, Instagram stories, custom GIFs and unique Twitter hashtags to encourage people to join the conversation. Overall, the campaign garnered more than 3.1 million interactions from influencer posts across platforms. 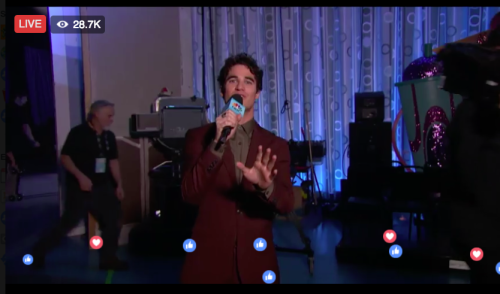 But the Facebook Live show was the most effective, with more than 2.8 million unique viewers alone. 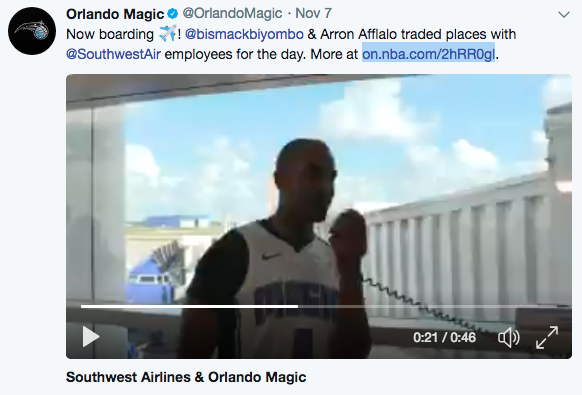 Southwest Airlines is no stranger to influencer marketing. They’re one of the example businesses out there that make the most of brand advocates and paid influencers to spread their message. 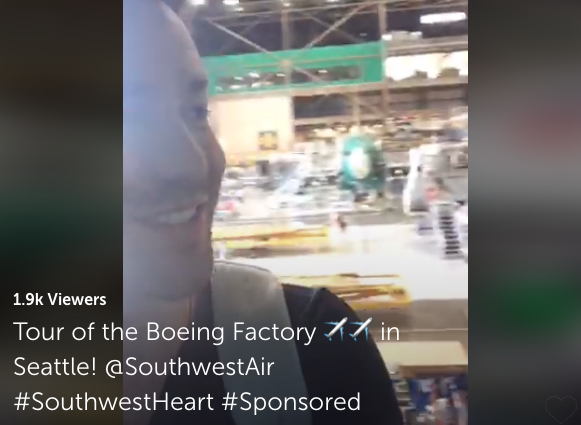 And just like with every new marketing channel, Southwest Airlines is diving head first into live video as well. Just take a look at their Facebook page, and you’ll see several live videos with influencers, such as Magic Giant. 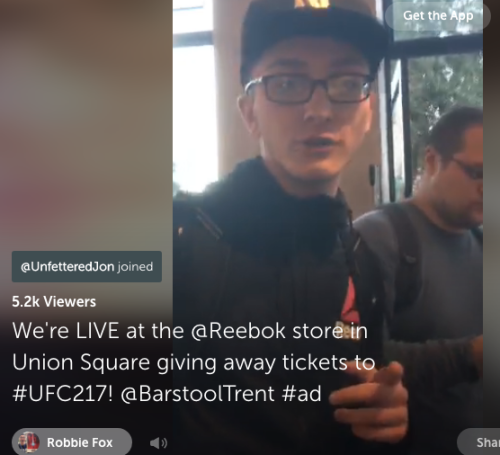 A video like this might not rocket to the top of Periscope’s trending videos, but it’s a great example of how a brand can partner with a variety of admired social media personalities to build a more personal connection with their audience. Nestle Drumstick is definitely the pioneer in partnering with influencers using live video. 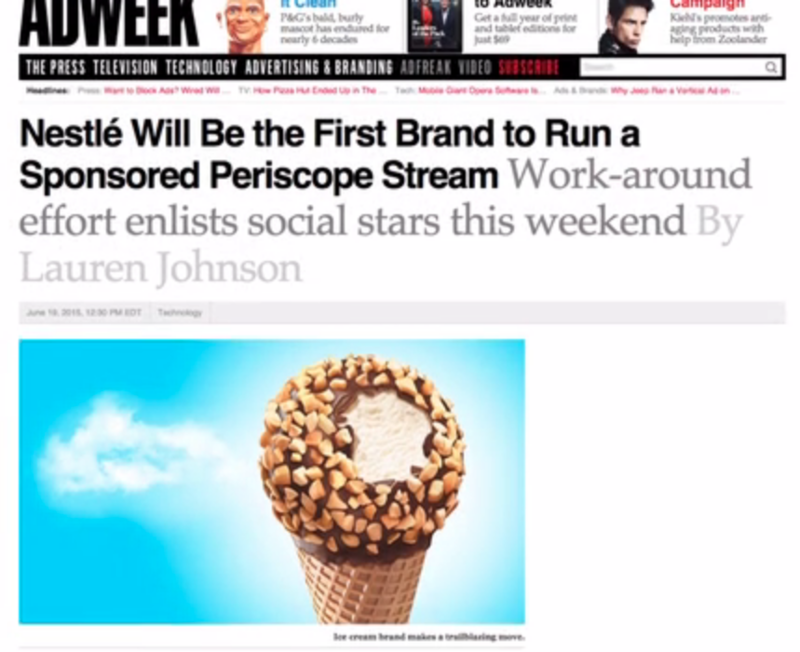 In fact, they were actually the first brand to run a sponsored Periscope stream with their #FirstDayofSummer campaign back in 2015. As part of the campaign, Nestle Drumstick created 21 live videos at five summer destinations, including a beach, amusement park, the city, a backyard, and a lake. At the time Periscope didn’t offer paid promotion options, so they simultaneously tweeted links and promoted those posts on Twitter to broaden reach. They also teamed up with two Periscope influencers to create their own #FirstDayofSummer live videos. The campaign got more than 6,500-plus views and 145,000-plus hearts from both brand and influencer engagement. Whoever said YouTube personalities aren’t real celebrities got it wrong. They get invited to red carpet movie premieres just like the rest of Hollywood. 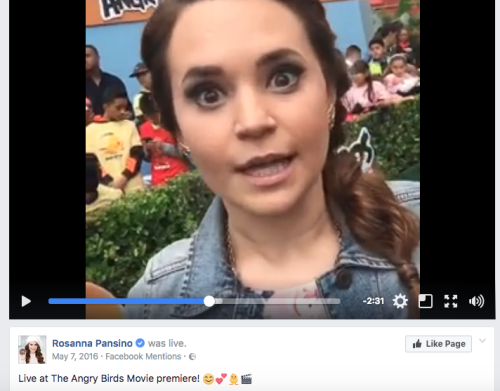 At least, that’s what happens when Columbia Pictures invited Rosanna Pansino to the premiere of the Angry Birds Movie. Rosanna Pansino hosts the YouTube baking show Nerdy Nummies, where she’s partnered with the Angry Birds brand on many projects before, including how to make Angry Birds cupcakes, pizza, and more. Her cute antics in the simple video helped generate more buzz for the film, getting 84,000 views on Facebook. When a brand does a free giveaway or promotion, it’s easy to think this kind of marketing strategy will promote itself. But if you want your promotion to really be worth the investment, you need the help of influencers to spread the word. But he represents UFC’s target audience and created a live video in a prime area of New York promoting the event. That’s all it took to generate buzz. It turns out, your influencer doesn’t have to be a social media personality with a huge following in order to attract interest and improve your marketing. In fact, Mayo Clinic chose to team up with an influencer who might not have any social profiles at all: a seasoned cardiologist. 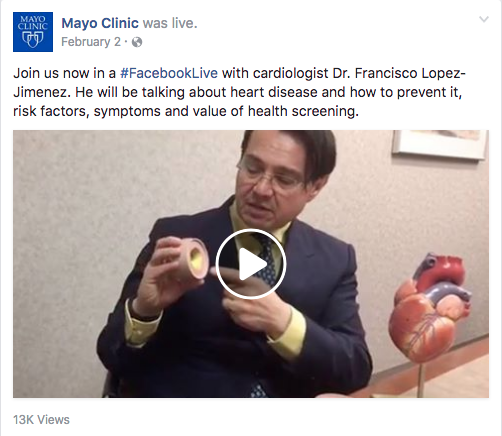 Last year, Mayo Clinic created a Facebook live video featuring Dr. Francisco Lopez-Jimenez. In it, he discusses heart disease and how to prevent it. Sometimes, all you need is the voice of an industry authority to attract the interest of your own audience. The video got 13,000 views on Facebook. Video has long been the most popular and engaging content type on social media. Live video is just the newest way to communicate with your audience using this already powerful medium. Partnering with influencers to create timely branded videos is really a genius idea to stand out from the crowd and attract viral attention. Just make sure you work with talented professionals with experience creating live videos to avoid the pitfalls that can come along with live video marketing. Michael Quoc is the founder and CEO of Dealspotr, an open social platform where brands can run promotional campaigns with micro-influencers in their niche, and trend-seeking shoppers can find today’s best discount codes. Previously, as the Director of Product Management for Yahoo's media lab, Michael led the launch of several innovative live video and mobile social networking services. He has been awarded nine patents relating to mobile and social network applications and technology. Follow Michael on Twitter at @michaelquoc. Sales automation software helps small businesses grow and saves them valuable time and money (and sticky notes).